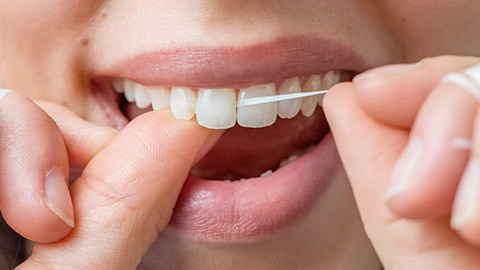 Daily brushing and flossing is a vital component of proper oral hygiene, but regular professional cleanings are also required to remove tartar from your teeth and to ensure early detection of decay, injury and gum disease. By using preventative measures such as scaling to remove tartar and plaque, oral irrigation of the gums, polishing, fluoride treatment and sealants, our hygienist will help you keep your teeth healthy for a lifetime. During your oral hygiene appointment, we’ll screen you for signs of gum disease. Our hygienist will measure the space between your teeth and your gums with a special tool. In healthy teeth this space is normally one to three millimetres. If the space is four millimetres or larger we record it on our chart so we can continue to monitor the area for signs of gum disease. As part of your hygiene appointment Dr. Warren will also perform a dental examination. He will check your teeth, gums and mouth for signs of injury, decay or disease, and he will also conduct an oral cancer screening. We may also take digital X-rays of your teeth and jaws to assess your root and bone health, detect abscesses or other abnormalities, diagnose cavities and check the growth of new teeth in children. Professional cleaning and regular exams are a vital part of preventative dentistry. Book a hygiene appointment with our downtown Edmonton office today.